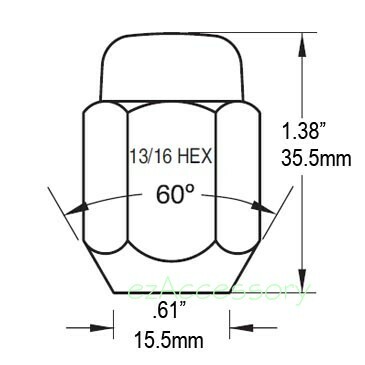 Acorn style 14mmx1.50 threads nice chromed lug nut. These lug nuts fit newer Chevy Suburban, Blazer, Express, etc. Please refer the following drawing for exact specification and size. Visit our application guide page for your application questions. Price is for each piece.